I can just about hear the blissed-out sighs of appreciation from design-buff parents everywhere. Oh, yep, now little Miss or Mister can get all hipster-cool with the playthings of parental dreams. I’ll admit I have some difficulty visiting the House Industries site. I have traded my acquisition of mid-century design pieces for parenthood and there are times when it hurts. So I guess I can accept I’ll never own a replica Eames Case Study No. 8 House when I can have these exquisite blocks for just US$150. 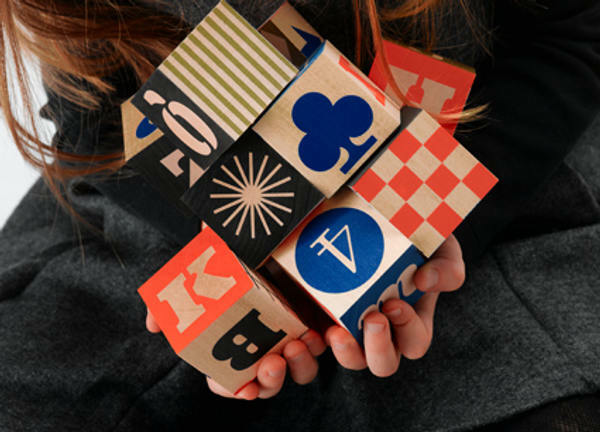 The set contains thirty-six alphabet blocks – twenty for the house and sixteen for the studio. They are made from kiln-dried Basswood grown in Michigan USA and each is hand screen-printed with archived Eames typefaces. 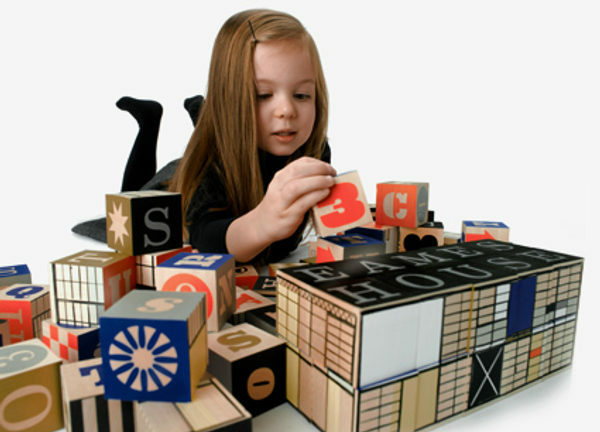 Score some majorly hip brownie points and educate your kids early about classic architecture! Available from June 1 at House Industries.